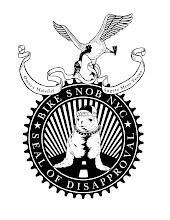 Bike Snob NYC: Velo Messianism: Who Will Save Us From Ourselves? Velo Messianism: Who Will Save Us From Ourselves? 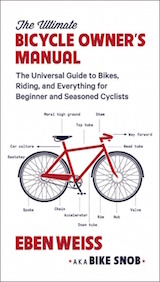 An irate commenter suggested yesterday that bike snobbery and elitism is killing cycling. I think we can all agree that he had a point. And I think we can also all agree that his point was wrong. Nonetheless, awhile ago I speculated in a post that perhaps a “John Lennon of Cycling” would arrive and re-unite us. So in light of yesterday’s discussion, I’ve been thinking more about this. If a Messianic figure were to come and save us, who would he be? What form would he take? And, most importantly, what would he ride? Here are a few possibilities. Monotonous actor David Duchovny, formerly of the “X-Files” and now star of “Californication,” could be just what we need. His soporific mumbling can tranquilize even the most excitable among us, and the fact that he does triathlons means we can all make fun of him instead of each-other. After all, Messiahs are supposed to suffer for all mankind. And triathlons are like cyclocross without the skill, or like alleycats without the fun. We should be able to revile the hell out of him. The deceased Chabad-Lubavitch rabbi is already considered by many to be the Messiah. Were he to return to Earth astride a Rivendell, I think few of us would disagree. Why the Rivendell? It goes great with the beard. Why Schneerson? Well, his sect is based in Brooklyn, and Brooklyn is second only to Portland in terms of being a cycling community at war with itself and in need of saving. I don’t know who this would be exactly. All I know is he or she would be the living embodiment of the spirit of cyclocross. Kind of like how Greek gods were the embodiment various virtues and aspects of life. The God of Cyclocross would be affable to a fault, wear Crocs with wool socks, and drink beer brewed in small batches. He would also wield a pit stick like a sceptre and get on and off his bike more often than Courtney Love gets on and off heroin. I steer clear of political debates the way roadies steer clear of gravel. But whichever way you lean politically there is no more enduring image of the 2004 election than Bush on his Trek mountain bike and Kerry on his Serotta road bike. What beautiful yin-and-yang symmetry! 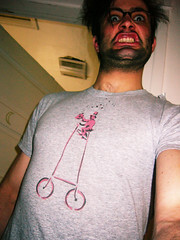 I feel that uniting the two of them atop a Burley tandem would somehow neutralize all hostility in the bike world. It would be like spraying a gigantic can of Static Guard on the cycling community. Tinker Juarez is a legend of the sport. And according to Rastafarianism, dreadlocks are a measure of one’s wisdom and knowledge. (At least according to Wikipedia.) So logically, we can conclude that Tinker Juarez’s hair contains the power of his talent and experience. I’m imagining the hair as a separate entity which roams freely, attaching itself to the heads of those most in need of enlightenment and imbuing them with wisdom and peace. Just imagine Tinker’s hair had leapt onto the head of Congressman Patrick McHenry like an overly amorous starfish while he was making that wacky speech about bicycles being a 19th century solution to the energy crisis. He would have suddenly gotten all bike-lovey and sent an intern to buy him some panniers. It would have been like that scene in “History of the World” where Gregory Hines stops the Romans with marijuana smoke. Since Bush obviously can't steer, he really ought to be Kerry's stoker. I'm not one to knock another man's religion. But I will point out that if Rabbi Schneerson is going to claim the title of the Bicycle Messiah and it's going to involve Rivendells, he's going to have to duke it out with Grant for the title belt. I'd recommend a hybrid of Ultimate Fighting Championship, Torah-derived and UCI Junior roadracing rules. That way, inside the chain link Octagon, Grant could go to town and hit the Rabbi with a heavy, outmoded 8 speed cassette ("It's good enough") but he'd be limited to 48:15, which would be unwieldy and keep the damage done reasonable. The Rabbi could counterpunch with a charge that 650B tires aren't at all kosher, and there's gotta be something in the Torah he can use to condemn a guy who says the bicycle can save the world, but then charges $2500 for a base model that contains more pig iron than the HMS Dauntless. This could rival the Satan v. Jesus throwdown on Southpark for it's sheer violence, and excellent, almost cartoonish beards. Maybe you could do it tag team style, and have David Duchovny one one side, and More Cowbell on the other - though Duchovny is probably no match for a cowbell. I vote for Tinker's dreads only if they team up with Missy Giove's dead pirahna necklace on a burley tandem. Tinker's Hair for President in '08!! Oprah Winfrey could do it if she started commuting to work on an Electra Amsterdam. After all, she got half of Chicago motivated to run a 4:30 marathon. Kerry would obviously use a flip flop hub on the rear. from the infamy bestowed upon them by Patrick O'Grady back in '98 to the continued dominance Mark's showing lately... Matty White might hop a barrier... but that's only cause he can't beat Mahk the Shahk! the messiah will descend from on high accompanied by a heavenly host of celestial beings. I gotcher messiah right here. Ah, BGW, you're obviously referring to Daphny Van Den Brand, a recognized goddess in the More Cowbell cosmology. I've never seen her race singlespeed, though if the UCI recognized it, the payouts improved and the guys riding SS cross in Portland stopped racing in dresses and started shaving once a week, she could probably be talked into it. Wait a MINUTE!!!!! We are godless New Yorkers and we ride bicycles. There is no salvation from the lure of the road. 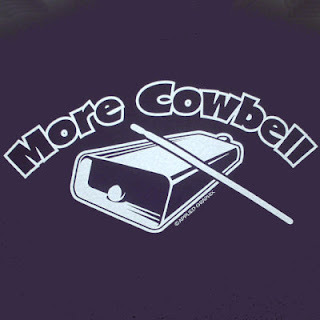 I don't know why David Hasselhoff popped into my mind when I saw More Cowbell. I thought Greg LeMond already declared himself the bike messiah? Or is He just handling the road racing side of things? uh, i think george dubya and gas-man kerry should ride a santana.... santana is just cooler. itll be a fixed gear with a 53:16 and 2 toptube pads. o yes...and dog-erection deep-drop Nittos. I feel the absolute need to point out that ex-crosser and current Kelly/Medifast domestique Jonny Sundt was the first 'crosser to consistantly bunny hop the barriers. In fact, here in the PacNW they made the barriers higher and put them closer together because of Jonny who earned the nickname 'The Cat/El Gato' I'm pretty sure Jonny can also drink Matt White under the table. Therefore El Gato must be given the scepter of 'cross god. What about the humble soul lying face down in the mud, front wheel tacoed from a failed hop, hairy legs sticking forlornly in the air, microbrew clutched firmly in hand is the image of the Greek God of Cyclocross? Is Tammy Thomas actually Sly Stallone? You forgot THOR god of SMASH! also known as THOR HUSHVOD, with his mighty sprint and love of all things herring he can bring us all together. but who rides in back? Kerry or Bush? yes, portland is a cycling community at war with itself, however, it needs an uberroleur to unify the masses against the latest threat forming on the horizon: cyclocrossers seeking to liberate society of the non-inclusive too-competitive term "clydesdale". If ever a cycling messiah descended on mankind from the heavens, it would be via something like this. And he'd be stylin' some serious 70s retro garb. 'Cause that's how Cycling Jesus rolls. Or flies. bikesgonewild- on the topic of velo messianism...I believe you're omnipresent. it seems that every blog I've visited in the past few days already had comments from you! And I second the nomination of Lawrence Malone as supreme cyclocross deity. Don't you oppress me, I'll call it 'frisco if I want to! 1jaG7E Your blog is great. Articles is interesting! aFI5YB actually, that's brilliant. Thank you. I'm going to pass that on to a couple of people. 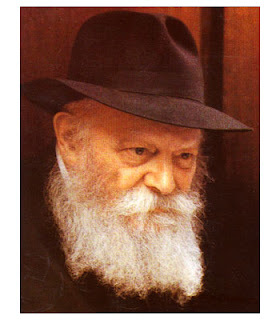 I would love for the Rebbe to be the bicycle messiah; that way my crazy sister and I could unite over something. 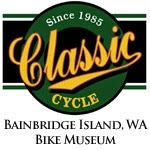 The bicycling messiah lives in the pacific northwest, currently works in bike advocacy, and has written wonderful descriptions of his rides on PBP, BMB, LEL, and the like on his blog. While generally not as funny as BSNYC (who one might compare to a boisterous preacher whose human frailties detract from messages of universal velo-salvation but make him interesting to read), his lack of hate, disdain of fashion, and willingness to put the camaraderie of being a cyclist above all else, is a nice uniting force. Victor Vincente's been working to save us since arriving by bike sometime in the middle of the last century.